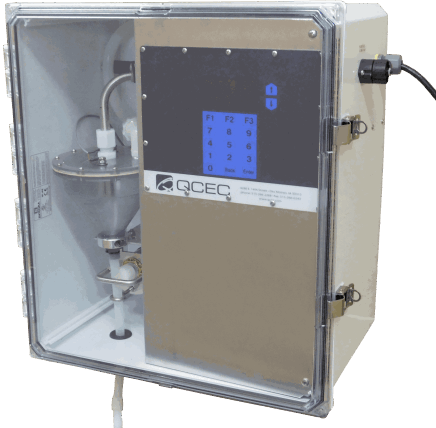 QCEC Vacuum Samplers offer dependable performance in delivering accurate samples at low volumes, while exceeding line velocity requirements at a wide range of head heights. 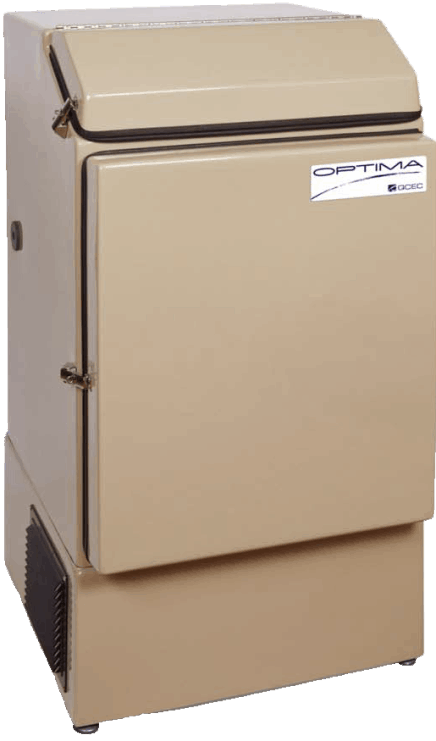 The model Optima-QLS is a heavy duty, All Season refrigerated composite/sequential vacuum wastewater sampler. With a fiberglass base and body, the All Season unit is suitable for corrosive environments and severe outdoor conditions. This sampler relies on proven vacuum pump technology to deliver high sample integrity and reliable performance. The vacuum pump exceeds EPA transport velocity requirements and generates a stronger pulse. The maximum vertical lift is 28 feet. This unit uses a self learning smart sampling system. A two year warranty is standard. The model Optima CVE-16 is a heavy duty, All Season refrigerated composite/sequential vacuum wastewater sampler. With a fiberglass base and body, the All Season unit is suitable for corrosive environments and severe outdoor conditions. It relies on proven vacuum pump technology to deliver high sample integrity and reliable performance. The vacuum pump exceeds EPA transport velocity requirements and generates a stronger pulse. The maximum vertical lift is 23 feet on a standard unit, and 28 feet is available as an option. A two year warranty is standard. The Dual All Season sampler is a Heavy Duty, All Season refrigerated vacuum wastewater sampler with two independent samplers in one refrigerated enclosure. With a fiberglass base and body, this All Season unit is suitable for corrosive environments and sever outdoor conditions. It relies on proven vacuum pump technology to deliver high sample integrity and reliable performance. The vacuum pump exceeds EPA transport velocity requirements and generates a stronger purge. Available with QLS or CVE-16 operating systems. Single controller, single pump premium model available. A two year warranty is standard. 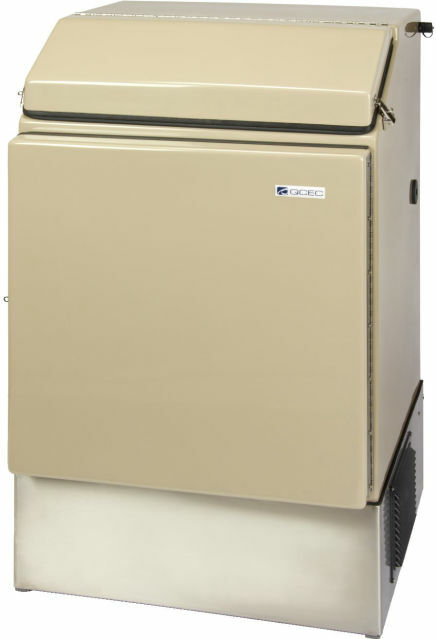 Built tough for tough duty, the Century 3000-QLS is our refrigerated vacuum wastewater sampler. It relies on proven vacuum pump technology to deliver high sample integrity and reliable performance. The vacuum pump exceeds EPA transport velocity requirements and generates a stronger purge. The maximum vertical lift is 28 feet. This unit uses a self learning smart sampling system. A two year warranty is standard. 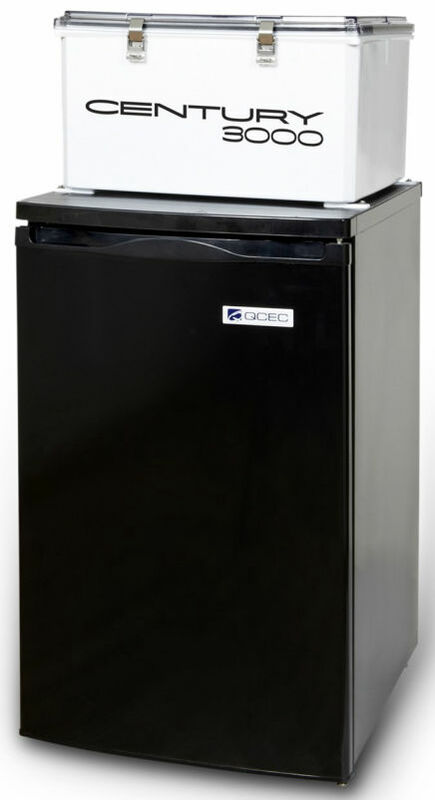 Built tough for tough duty, the Century 3000-CVE-16 is our refrigerated vacuum wastewater sampler. It relies on proven vacuum pump technology to deliver high sample integrity and reliable performance. The vacuum pump exceeds EPA transport velocity requirements and generates a stronger purge. The maximum vertical lift is 23 feet on a standard unit, and 28 feet is available as an option. A two year warranty is standard. The CVE-16-WM and WM-QLS wastewater samplers are wall mounted vacuum wastewater samplers. Each relies on proven vacuum pump technology to deliver high sample integrity and reliable performance. The vacuum pump exceeds EPA transport velocity requirements and generates a stronger purge. The maximum vertical lift is 23 feet on a standard unit, and 28 feet is available as an option. A two year warranty is standard. The model CVE-16-P is our portable, composite/sequential vacuum wastewater sampler. It relies on proven vacuum technology to deliver high sample integrity and reliable performance. The vacuum pump exceeds EPA transport velocity requirements and generates a stronger purge. The maximum vertical lift is 23 feet on a standard unit, and 28 feet is available as an option. 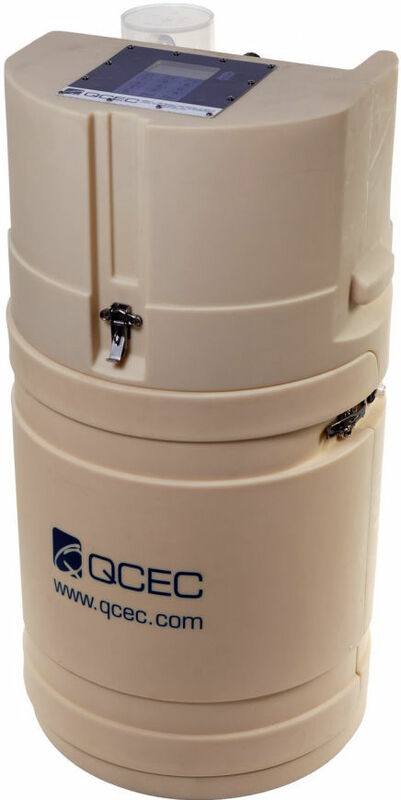 This portable unit is double walled, insulated, and has a rotationally molded polyethylene plastic case. Weighing 36 pounds, the CVE-16-P is easily transported to sample wastewater and effluents from sewers, flumes, manholes, etc. A two year warranty is standard.